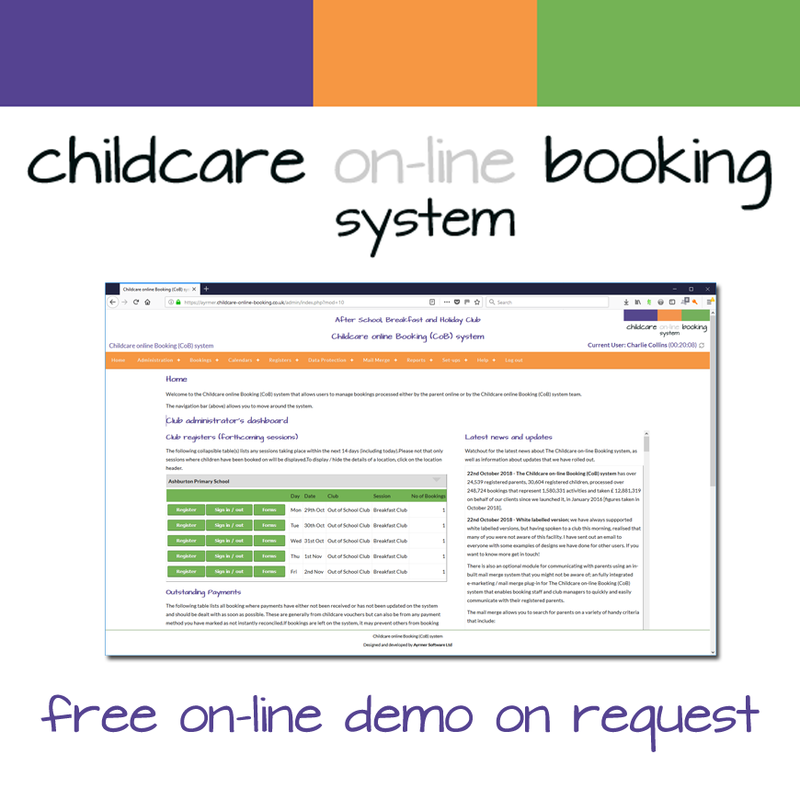 The Childcare on-line Booking (CoB) system is designed to make your wrap-around childcare booking administration, child's play! How would you like electronic sign-in / sign-out sheets that automtaically generate late pick up fees and comply with OFSTED requirements of record keeping? CoB is fully responsive, which means parents and carers can access it via a Personal Computer (PC), Tablet or smart phone and is compatible with Apple, Android, Windows and many more, as it uses HTML5/CSS3 rather than an app that is device dependant.